Large scale operations require well-engineered adaptable systems to meet the ever-changing operational conditions. 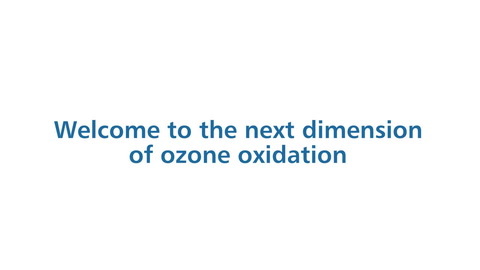 Xylem's Wedeco PDOevoPLUS ozone system has been designed to produce large quantities of ozone both reliably and efficiently. Its robust design, customizable and integrated system fit seamlessly into local conditions and processes to suit every application. It is specially manufactured to operate up to 60% lower cooling water consumption with maximum energy efficiency resulting in very low lifecycle costs. Effizon evo 2G electrode technology is the core element of every Wedeco PDOevoPLUS ozone system. It features a glass core, which consists only of high strength borosilicate glass and stainless steel mesh, that helps achieve a level of reliability and energy efficiency unattainable with most other electrode technologies. Manufactured completely from inert materials, without the need for fuses or coatings, it is highly resistant to corrosion. This means that the Wedeco PDOevoPLUS generators are practically maintenance free with no need for regular cleaning or replacement of electrodes. Moreover, with the Intelligent Electrode Protection (IEP), an inherent safety feature of the Effizon evo 2G, it is not prone to false detection of electrode defects.